28 May 2018, Geneva – IFPMA, the voice of the biopharmaceutical innovation and health progress around the world, made a series of statements during the 71st World Health Assembly. As the Assembly kicked off, IFPMA called for even greater collaboration as being critical to future global health progress. In his inaugural and closing remarks, Dr Tedros Adhanom Ghebreyesus, WHO’s Director General, highlighted the role of the private sector and the need to engage in “whatever partnerships are open to us, in whatever way we can, to achieve our goal”. IFPMA was pleased that the WHO General Program of Work (GPW) was approved. 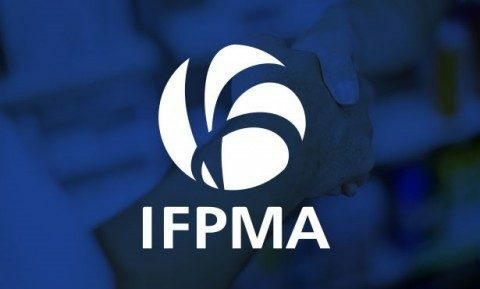 In its statement, IFPMA welcomed the ambitious goals and the focus on outcomes and impact: “We strongly agree that the private sector is a key partner to achieving its targets and we stand ready to play our part. As a non-State actor in longstanding official relations with WHO, we look forward to continuing and strengthening our history of collaboration to help WHO in catalysing the scaling up and sustainability of effective, health innovations”. IFPMA organized an official side-event, in partnership with DITTA (Diagnostic Imaging, Healthcare ICT, and Radiation Therapy Trade Association), “Better access for all with sustainable financing systems: The role of the private sector and new innovations to achieve UHC” to discuss the need for partnerships between the public and the private sectors in order to optimize the best use of innovative technologies and medicines that can increase access to better healthcare for all. Pandemic preparedness and response efforts form an integral part of global health security. In its statement, IFPMA and its member influenza vaccine and antiviral manufacturers confirmed continued commitment to the Pandemic Influenza Preparedness (PIP) Framework our shared public health objectives to ensure that the world is better prepared to respond to the next influenza pandemic. IFPMA member companies have helped the WHO secure 405 million doses of influenza vaccine and 10 million doses of antivirals to be used in the event of an influenza pandemic. IFPMA organized a side event with WMA and IFRC – on “Health Security – 100 Years after the Spanish Flu Pandemic”. Access to medicines and vaccines (shortage of medicines) and on Public health, innovation and intellectual property (GSPOA) were discussed and IFPMA delivered statements (Shortage, GSPOA). IFPMA notes the decision to task the WHO to prepare a 5-year roadmap to be presented to the Assembly in 2019 and looks forward to continuing its constructive engagement in a multistakeholder effort to address these issues and actively engaging in the consultations. Both September 2018 United Nations High Level Meetings on non-communicable diseases (NCDs) and tuberculosis were discussed. For NCDs, as progress remains slow, there were calls for increased political leadership and more action to prevent and control NCDs. Access Accelerated – a unique cross-industry collaboration that seeks to reduce barriers to prevention, treatment and care for NCDs – organized an event to share experiences and learnings from stakeholders implementing in different contexts to identify best practices to ensure effectiveness, reduce fragmentation and facilitate sustainability across all aspects of work to address NCDs. The Assembly adopted a resolution that seeks to accelerate Members States actions to end TB. Dr Tedros insisted that BRICS countries should take a leadership role in the fight to end TB and underlined the importance of partnering with the private sector to advance R&D. IFPMA delivered two statements (NCDs, TB).